When I first came across Emi and Eve and met founder Cassandra Postema, I was immediately inspired by what she was doing. Trained in fashion and a graduate of London's Central St. Martins College of Art and Design, she got her start upcycling vintage gems and creating designs from the fabrics she gathered along her travels. It was the upcycling that caught my attention first along with the vintage interest next. What hooked me as a loyal supporter was her social conscience which has lead to her current Bullets for Beauty campaign. The idea is amazing. 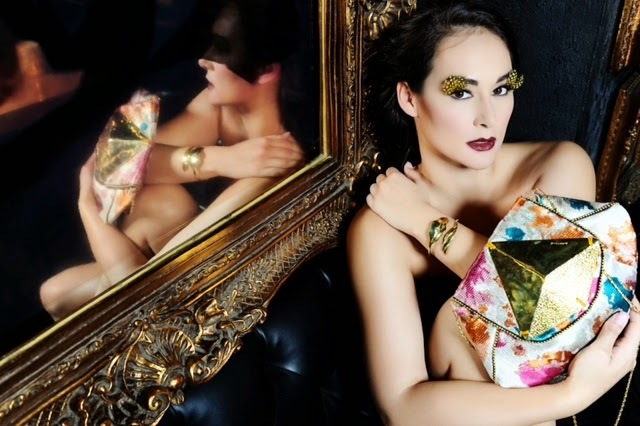 She uses bomb casings and bullets sourced in Cambodia to create beautiful jewellery and accessories. But more than that, she founded an NGO after meeting a bomb recycling family on her first trip to Cambodia. Together, they provide genuine work opportunities for people whose lives have been impacted by the aftermath of war. She also incorporates traditional practices of handweaving (encouraging the art of Saori) to preserve those elements of Cambodian culture as well. Cassandra is also leading the charge by offering her consultation services to other social enterprises. She often seeks the feedback of her customers so that she can make her products better and more accessible. I had the pleasure of participating in one of these sessions with her last spring and we gave specific feedback so she could improve her website, which she just launched this week. Check it out here. The idea behind her newest collection, the Sunrise collection, follows a couple of peacocks having wandered away one day from the circus where they live. They get lost and go to sleep only to wake up at dawn to find themselves in a temple garden. Some of her items are available for immediate order while others can be pre-ordered on the site. Last Christmas, I bought each of my sisters one of the lovely Peace Bracelets, so I know first hand how lovely her designs are. 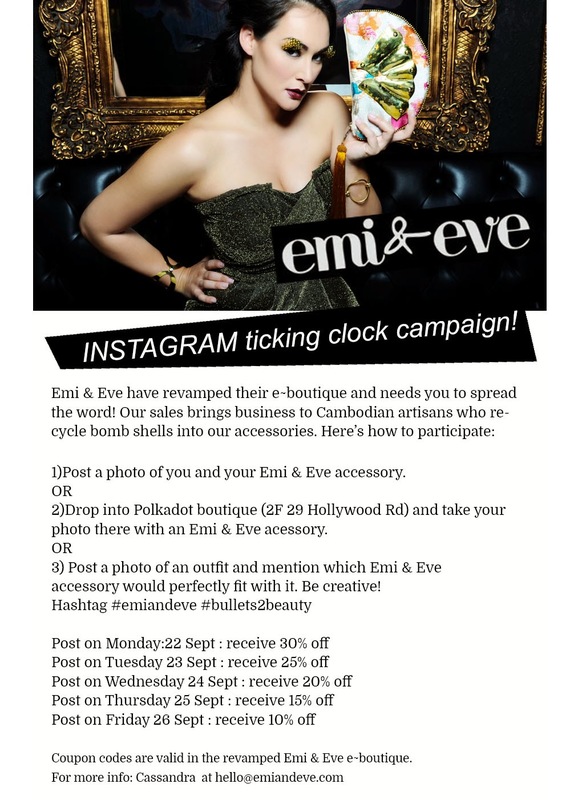 This is why I'm so excited about her new Instagram campaign, in which you all will be able to take part for a chance to earn amazing discounts for her beautiful jewellery and accessories. The details are explained above, but be sure to follow her on Facebook and Instagram for more updates.